Rocket Kitchen, owned by Rocket Corporation of MTS Global Ltd, was facing issues when it came to staying in the business as they were. New parking restrictions had cut down the level of foot traffic they were getting in their Ponsonby store, and even couriers were finding it tricky to pick up their online orders. 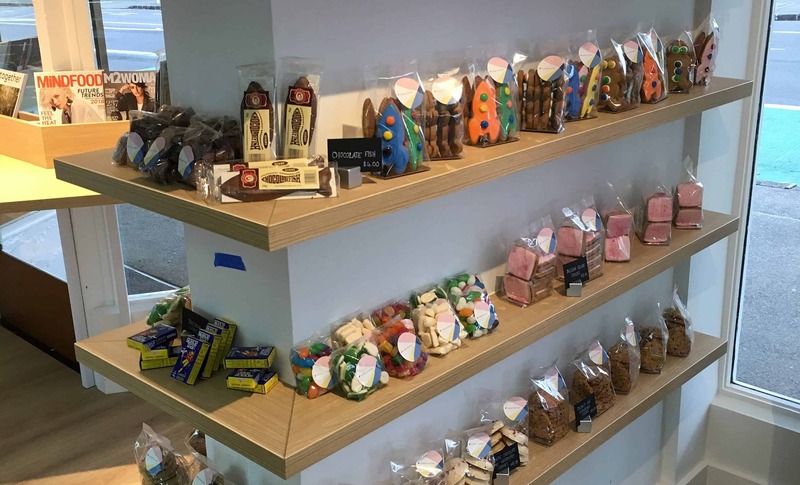 The shop itself was far too small, and while the kitchen was lovely and clean, they were also having to lease a large unusable space that was simply costing them money. Glenys Wynn, a key member of the Rocket Kitchen team, was working to move the business toward a rebrand, refresh, and a new start to get it back on its feet. But refreshing their current store just didn’t seem feasible. It was time for Rocket Kitchen to make a move. The search for the right site began, and because of the demographic that Rocket Kitchen aims to serve, Mt Eden was an ideal target. Having recently brought Ma Cherie, creators of delectable French pastries, under the Rocket Kitchen umbrella, and with a wide range of fresh and frozen treats available on-site, Glenys and the team wanted to ensure they could find a space that would do justice to the showcasing of these products in the Mt Eden community. When the location at the corner of Kingsview Rd and Mt Eden Rd popped up, it was too good to miss. With a spacious kitchen and built-in chillers already on-site, it was the perfect space to start fresh. 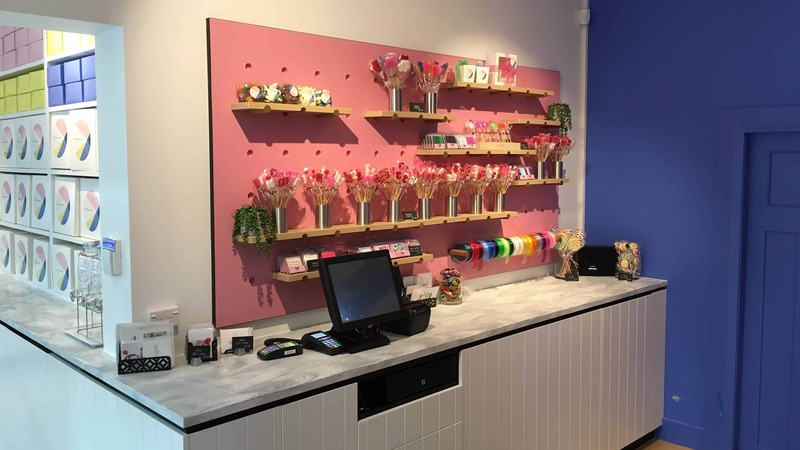 With a tight timeline and a huge workload to fit in, Glenys and the team from Spaceworks Design Group, who had done work for MTS Global before, contacted Datum again as the first port of call for shop fitters. They were available and ready to get stuck in and do everything that needed to be done. As with any major business change, the Rocket Kitchen team faced a number of obstacles during the makeover. Luckily, Datum’s calm and relaxed approach ensured that everything kept moving along despite the additional issues. From coming in on a Sunday to replace all the acoustic panels to building a plinth for a freezer to stand on where the ground wasn’t even to making adjustments to cabinetry to ensure it would work the way it needed to for customers, the Datum team took the time to get everything right – even going well beyond their job scope. 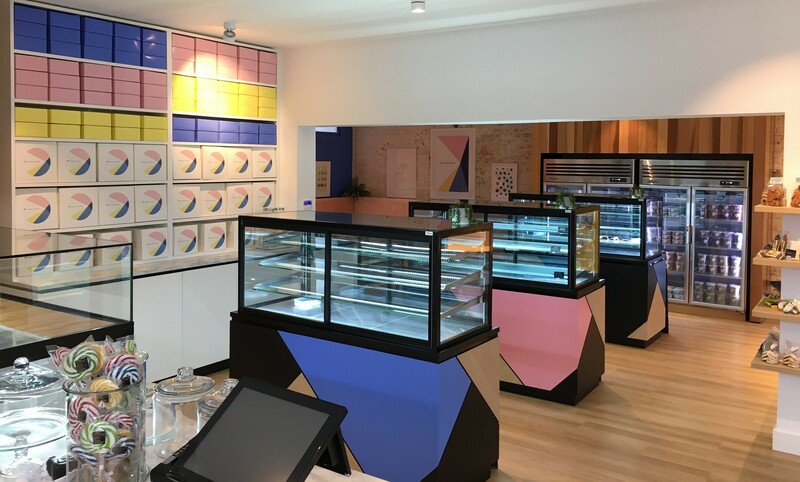 For example, Ma Cherie French Bakery wanted to offer customers freshly baked French pastries when they came into the shop, so they had sourced proofing ovens that allowed pastries to be baked and ready to go by the time the shop opened each day. However, there were issues getting the oven inside through the back door and up the rickety old stairs, so the Datum team removed the door frame of a different door and made it taller in order to get the proofing oven into place. Well outside the project scope, but just something that needed to happen to make Rocket Kitchen perfect. With a can-do attitude and jovial approach to their high quality work, the team at Datum did not disappoint. 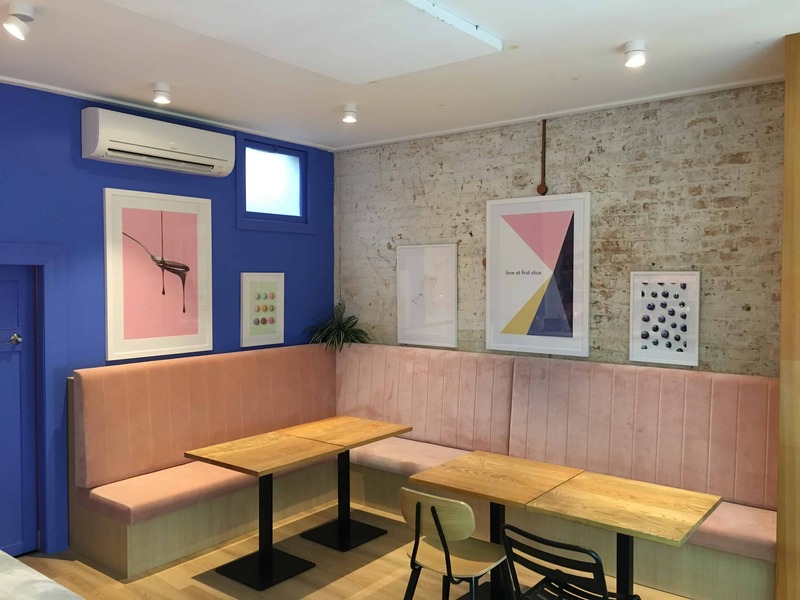 Now Rocket Kitchen’s new Mt Eden home is happily welcoming customers every day – customers who are loving the rebrand, stunning fit out, and custom-made space. With a solutions-driven shopfitting company working alongside them, Rocket Kitchen’s rebrand and refresh was not only a successful venture, but an enjoyable one. It wasn’t always easy, but when problems are viewed with a “we can fix this and make it work” approach, anything is possible. At Datum Projects, we specialise in commercial, retail and hospitality industry fit-outs. Whether you are setting up a new ‘never done before’ space, or looking to revitalise your brand, we’ll provide all the expertise you need, in one simple package. ©Copyright 2012-2018, Datum Projects Limited. All rights reserved.